The Revo-T14 is a fully automatic laminator for business professionals and copy/print shops with higher productivity demands. The Revo-T14 with automatic feeding, laminating and cutting, offers high speed and convenience with one touch of the start button. 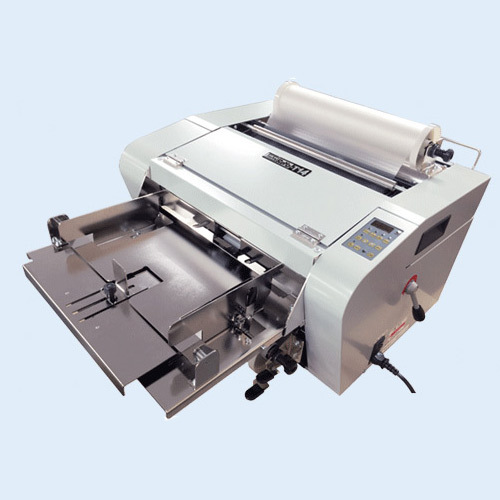 Set automatic internal cutter to cut or run in continuous lengths. Great for long encapsulated banners and custom materials. The Revo T14 is a fully automatic laminator for business professionals and copy/print shops to meet high productivity demands. With automatic feeding, laminating and cutting, the Revo T14 offers high speed and convenience with one touch of the start button. 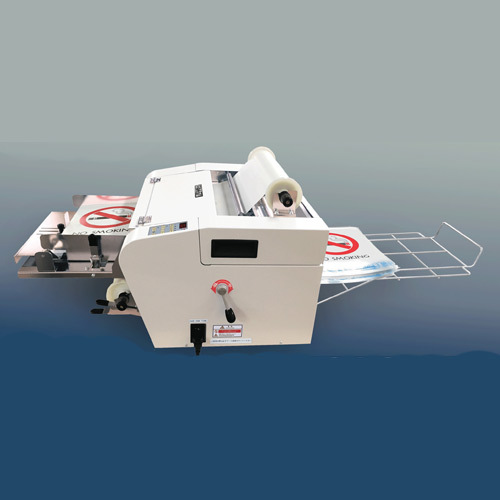 The Revo T14 automatic laminator saves labor costs, time and increases productivity with efficient roll-film processing, consistent quality results, and simple operation. High Capacity Auto-feed Eliminates Need to Insert One-at-a-time. 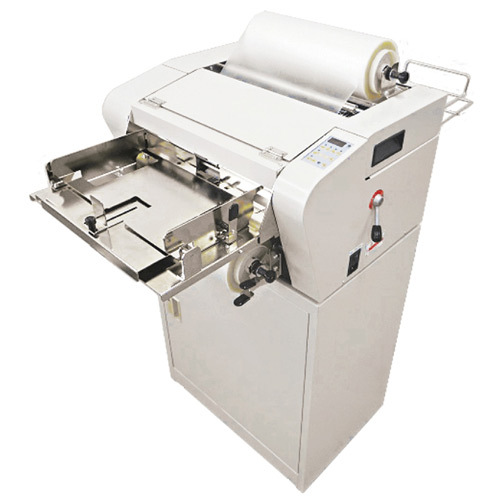 Automatic paper feed, laminate and cut in one process. The auto-feed tray holds up to 300 sheets of text weight paper. Simple access from the top for quick and easy film roll change and roller cleaning. 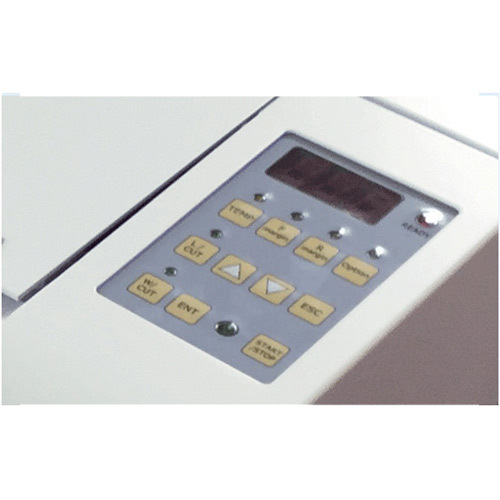 Set start and stop and number of sheets easily and quickly on the LCD operation panel. 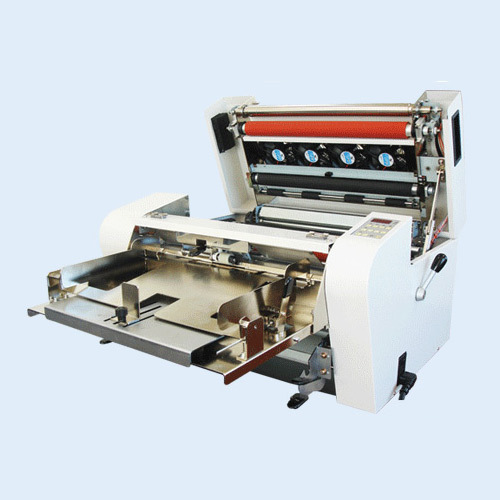 Set various front and rear margin sizes for automatic cutting or turn off cutter for continuous banner length lamination. 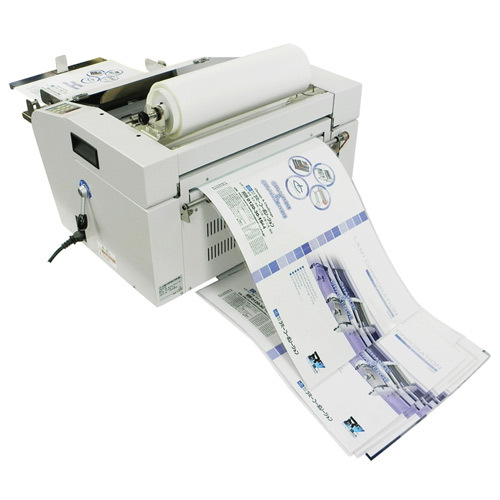 Automate your lamination and save up to 6 times the labor cost per hour vs. pouch lamination. 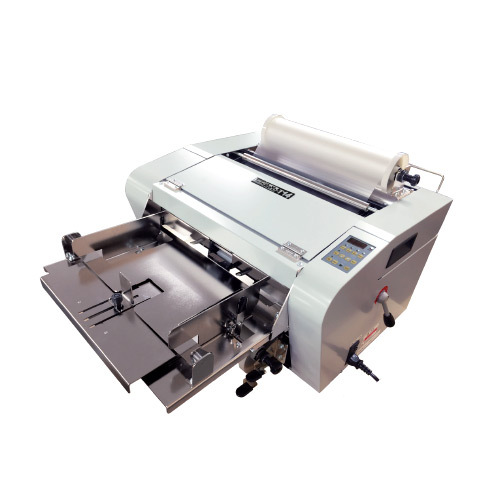 The Revo T14 can laminate and cut over 420 sheets per hour. 8.5 x 11 1 hour 420 pcs. 72 pcs. 11×17 1 hour 216 pcs. 36 pcs. 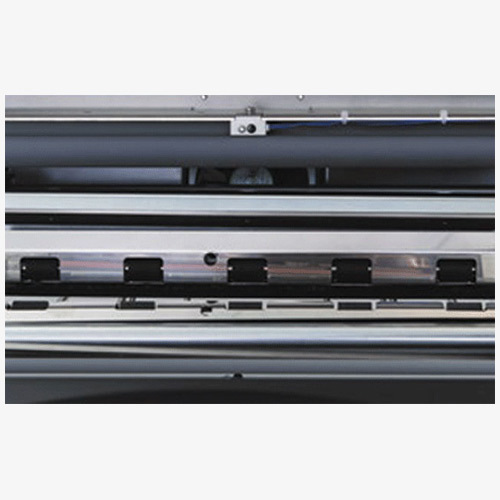 Encapsulating involves activated thermal film being applied on both sides of a print. The finished result is trimmed to leave a clear border around the edge of the print, therefore encapsulated. Lami Corporation for high productivity demands.